As boilers age, they can lose efficiency or stop working all together. That’s why it’s a good idea to have yours inspected every year. As a Boiler Repair Service Provider in West Metro, Wright County, and Buffalo, we’re on hand to pinpoint any lurking issues with your boiler so that you don’t find yourself in a bind come winter. At DeZiel Heating & A/C, we’re dedicated to creating long-term relationships with our clients by providing top quality boiler service. Specializing in boiler system maintenance, repair, and installation, we have the training and expertise to provide you with first-rate, cost-effective work. And because we know how much you rely on your boiler, we pledge to respond to your calls quickly and perform our service efficiently. Experience – No one wants to hire someone that has absolutely no experience with boilers. Always go with someone who knows how to service and maintain them. Knowledge – You want an expert. Someone who has working knowledge of a boiler unit should be the one that you hire to repair yours. Customer Base – Before you hire a boiler repair contractor, make sure that they have been doing business in the area for some time. Asking your neighbors and friends could work to your benefit. At DeZiel Heating & A/C, we believe that the best service we can perform is to help a family stay comfortable in the cold winter months. Our certified technicians have the experience and know-how to keep your boiler running properly so that you and your family are safe and don’t get left out in the cold. Take control of your home by having a West Metro, Wright County, and Buffalo boiler repair done on it. You’ll preserve the lief of your boiler and allow it to work more appropriately. Contact us today and schedule an appointment for us to come to your home. We can repair, rebuild, or replace any model, brand, or type of heater. And we’re available 24/7 for any emergency repairs, so your home and family have someone to depend on. So whether your boiler service needs are big or small, commercial or residential, you can count on DeZiel Heating & A/C for excellence in every project we undertake. For more information or to get an estimate, contact us today. 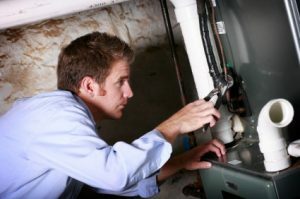 If you are looking for a Boiler Repair Expert then please call 763-684-3965 or complete our online request form.